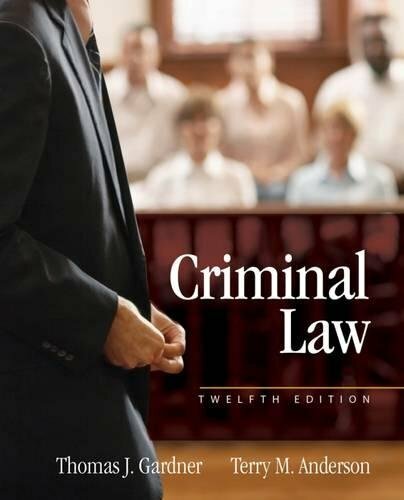 1285458419 -Equipping you with a practical understanding of legal topics, Gardner and Anderson’s CRIMINAL LAW, 12th Edition, delivers comprehensive coverage of the major components of substantive criminal law in a remarkably reader-friendly presentation. Its narrative, descriptive approach exposes readers to the language of the law without overwhelming them. A longtime market leader, the book offers complete coverage of the issues and principles that drive American criminal justice today.